St Pée facilities offer the opportunity to work with various sizes of artificial flowing-water mesocosms. The Lapitxuri semi-natural stream (15 km from the INRA St Pée Institute) is fed by a diversion of a natural headwater stream. 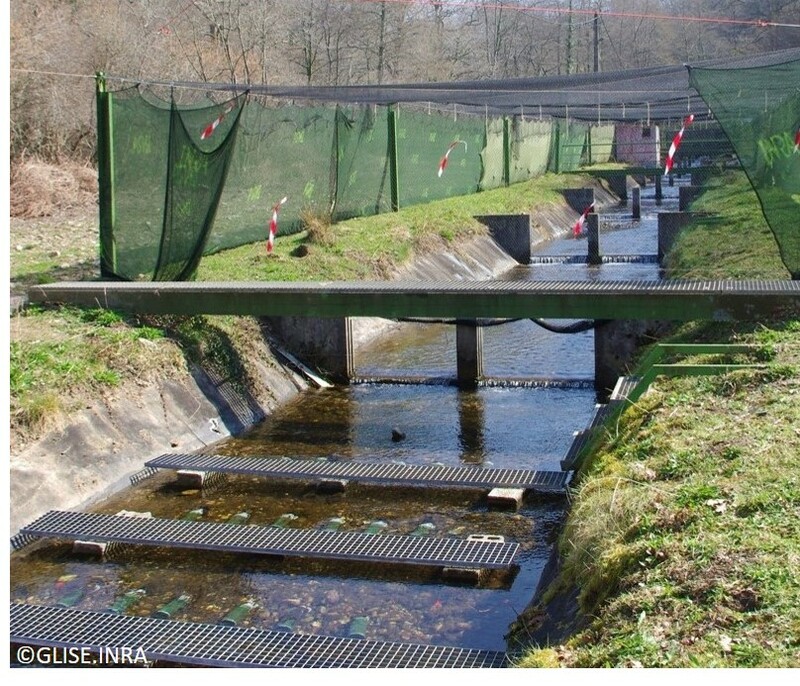 It is separated into 13 consecutive reaches (10m x 2.8m) allowing it to work with pseudo-replicates (each reach can be closed by downstream traps). T). Direct underwater observations can be performed on two reaches from an underground room. 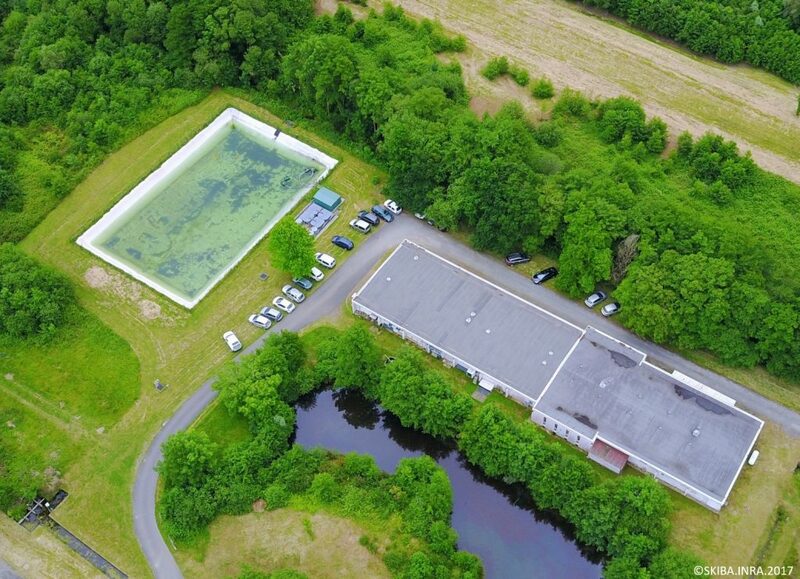 More classical mesocosms are available: 16 swedish tanks (2.5 m3), 8 circular tanks (0.1 m3), 6 indoor flumes (4.5 m long), 8 outdoor flumes (11m x 0.5m). 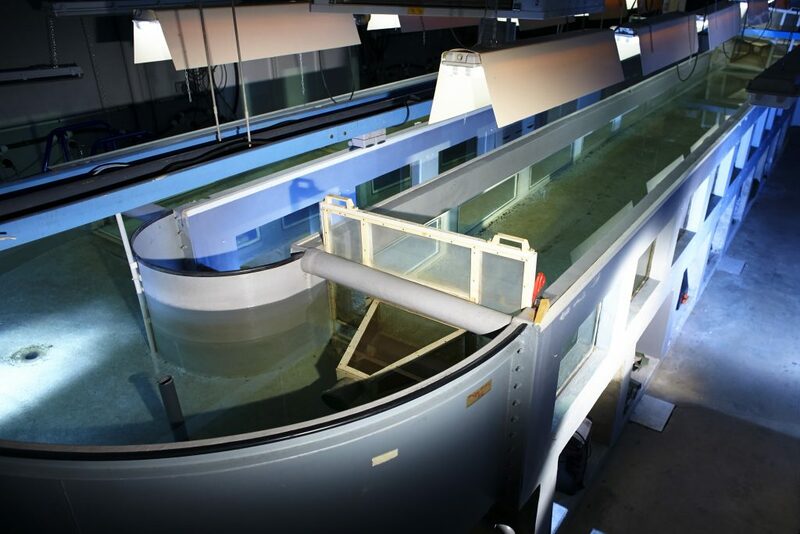 At the INRA St Pée Institute, a large 25 m3 circular flume (fluvarium) consists in 2 longitudinal sections (10 m x 1 m) separated by upstream and downstream traps. Water velocity (controlled by a propeller), light (twilight period possible), temperature (air+water), substratum and depth can be controlled. Two smaller circular devices (tidal aquaria) consist of a 400 L aquarium where flow direction changes alternatively. They are located in two similar rooms, where air and water temperature, as well as light are controlled. It is used to investigate swimming behavior in tidal zone under different conditions or as replicates. An outdoor large basin (756 m²) can be used under lentic (maximum depth: 4 m) or lotic (maximum depth: 80 cm) experimental situations. More classical mesocosms are available: 4 swedish tanks (2.5 m3), 2 series of 8 circular tanks (0. 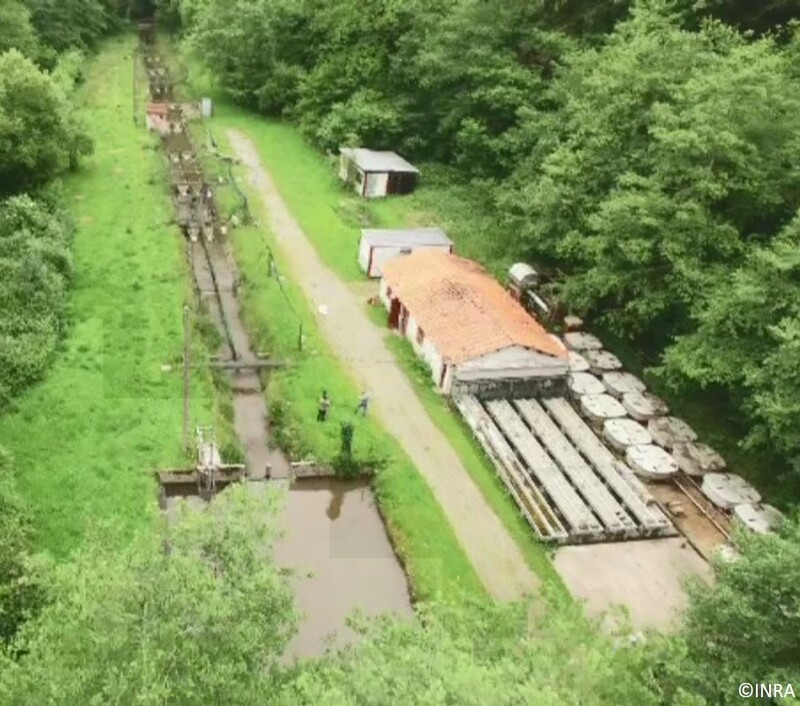 16 or 0.5 m3), 1 series of 16 tanks (0.1 m3), 6 indoor flumes (1.50 m long). The LIFE Infrastructure is dedicated to the study of changes in freshwater ecosystems biodiversity with a primary interest in fish evolution and population dynamics. In this context, we also manipulate invertebrates, plants, mollusc, phyto and zooplankton. Major strengths of LIFE are its numerous facilities, the high expertise of its technical staff, and the possibility to perform experiments across a wide range of spatial and temporal scales. The main objective of RI LIFE is to decipher the effects of multiple environmental forcings on individuals, populations or communities in order to inform management decisions for fish populations. In addition, the direct connection of PEARL and ECP, with ESE (https://www6.rennes.inra.fr/ese/) and ECOBIOP (https://ecobiop.com/) research teams ensures access to additional analytical platforms (environmental and analytical chemistry, trophic and molecular biology), as well as expertise of a broad scientific community. habitat (flowmeters, series of sieves). Organism behavior survey: Accelerometers, VIE tagging, Radio Tracking. Strong expertise in using underwater and aerial Video. St Pée Inra Institute: Several hotels or guest houses are available in St Pée-sur-Nivelle town (located at 30 min from Biarritz Airport/Train station). Lapitxuri: (20 min from St Pée) A container house equipped with two beds, a small kitchen and a toilet at the experimental site.